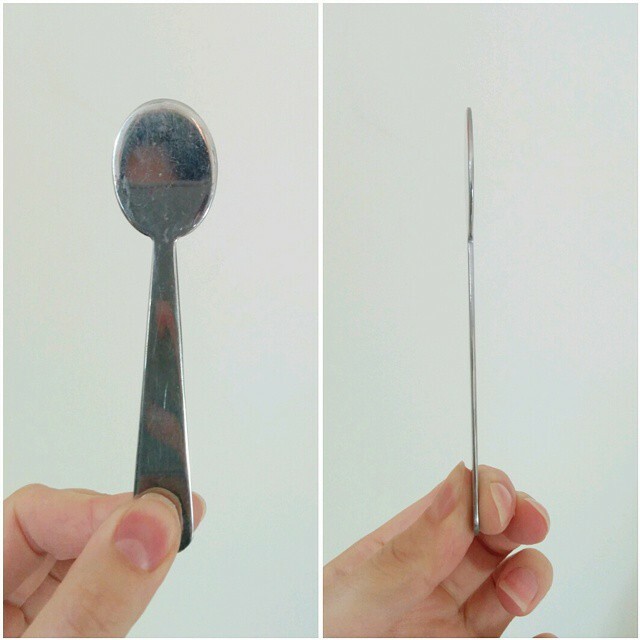 Last night, through a friend’s Facebook page (thanks Johanna), I came across an article – The Spoon Theory – that made me want to talk about Amoy tiger, about health, about the here and now of what I, and others, go through on a daily basis – the hidden health condition (HHC). It has been a while…actually a very long time (October 2013)…since I last spoke about recovery kingdom. I wouldn’t even call it recovery kingdom anymore as it, or Amoy tiger tummy as I call it, is now with me for life (4LYF – yep, I’m making hand signal as I write this). If you’re not up to speed with recovery kingdom catch up by reading my last blog post on the subject of surgery to recovery kingdoms, and all in between here. 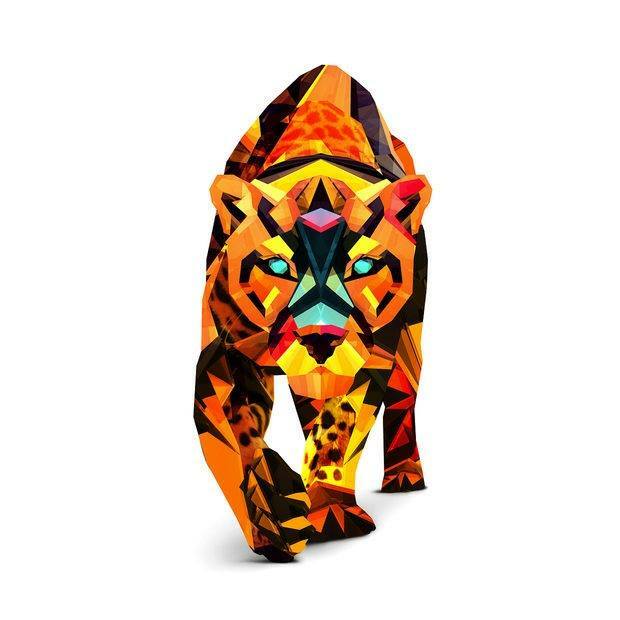 My tummy is named after the Amoy tiger as it is a rare breed and China is, obviously an integral part of my life. Also, my tummy is a tiger as it gets this tiger fur-like scarring and bruising visible on the skin that appears like a tattoo when things are bad inside (and sadly still does) and also sounds like a tiger roaring, if and when, it decides to work. I’ll talk a lot here in acronyms and analogies by the way…it’s a tool I use to add a layer or mask over the brutal reality of what it is…whilst protecting the identity of others and keeping it lighthearted. I hope. I only came to realise very recently why I talk and communicate in certain ways…everyone has their personal communicative nuances. Since all things triple organ chaos and surgery just over a year ago to restructure my abdomen (that’s putting it VERY simply), it has been an unpredictable, exhausting, confusing, self-referential, in-part isolated, emotional journey in both negative and positive ways with some super revelatory, life-changing happenings (well people) thrown in that are now very much permanent features. I thought I’d have the surgery, (impatiently) recover over the months that followed, re-entering the real world as ‘bionic, organic, next level, transformed into the million dollar woman, new and improved, next generation, re-released restructured and reinforced, version 2.0’ wordgirl, as my friends said I would…taking the world head on for my next chapter. In some respects this has happened, I have recovered in some ways but, in turn, had to readjust and renegotiate other aspects of my life to the things that haven’t quite gone according to plan. I have four scars that you can barely see, that every so often literally tug me internally back into the reality of the situation with such unexpected discomfort…where wordgirl pulls her face and screams inside. I have worn a bikini and been proud of Amoy. I’m glad not to have great marks on my tummy thought I still find it different how it looks in the mirror, its not the same…and it’s funny how you get used to your body looking a certain way when it will always and constantly be changing. Amoy tiger tummy has not responded in the way it should, returning somewhat back to what it was before and slowing down in it’s functions….because of this, I have been put on repeated drug trials like a lab rat to get it to work from my arch nemesis “RESOLOR” that took me off radar to others that simply did sweet FA apart from make me very sick, now on a fourth drug that seems OK in comparison with my other liquid and tablet cocktail that I very much loathe. PK (painkiller) kingdom often on repeat. I have trialled home “therapies” that I won’t talk about in full as they are shall we say intrusive one of which I have to do on a daily basis. I have a restricted diet – vegetarian-ish (I mean I eat fish) FODMAP diet – that is hard to adhere to every single day…but has become my bible in terms of a recipe book. I have spoken to far too many people in the medical profession that are trying to understand my “special” and very unique case. I have learned to sleep when I need to and embrace rest, to take days off if I have to as Amoy’s recovery feeds wordgirl a greater strength…even though it is incredibly hard to cancel or miss out on things that you have planned or arranged. I hate missing out and it’s something I am learning to deal with. I have realised the value and strength it brings by being able to share and talk about it all, that mental health is as important as physical health and how many other people out there are in similar yet different situations…actually, in the last few days talking very honestly with a few people about the HHC. Acronyms coming out to play already! I will always get frustrated by the people who think that if you look great on the outside, it means that you are fine on the inside. Um, no. HHC! HHC! I have been made to talk about coming to terms with the fact that my future in a wordgirl being a mom and family sense might have to be cultivated in a different way to the world norm for my age group…as every (wo)man and his dog is pregnant or having a child right now, according to Facebook anyway…where it is actually one of the hardest things I have to face on a daily basis…my apologies if I don’t hold your newborn. I have acknowledged that Amoy tiger tummy will never work the way it should…but I really wish it would sometimes. I allow myself to get lost in my mind when my thoughts are unexpectedly going on an off-road adventure in my train of thought Land Rover…as I know it will get back on track and park up again soon. I have realised who my true friends are, those who I can call no matter what the wordgirl story is, or isn’t, knowing they will just be there and let me be me. One the biggest things I’ve learned is that someone can love me and Amoy tiger tummy, and take me, as my friends do, for being me, for being wordgirl, for being a “special” and very unique case with no fear…where I must now thank manaXi for coming into my life last Christmas, for being with me for just over 10 months, for the nickel adventures and the acronym banter we share every single day, for nothing ever being too big a problem, for just taking our adventure as it comes and for helping me to write my next chapter with lesser fears and greater confidence in myself and my (our) future. Also that my Momma Sooz is one of the most inspirational and amazing women in the world, who again helps me be me. OK, face leakage…onto the said article I mentioned at the start. “As I went to take some of my medicine with a snack as I usually did, she watched me with an awkward kind of stare, instead of continuing the conversation. She then asked me out of the blue what it felt like to have Lupus and be sick. I was shocked not only because she asked the random question, but also because I assumed she knew all there was to know about Lupus. She came to doctors with me, she saw me walk with a cane, and throw up in the bathroom. She had seen me cry in pain, what else was there to know? I started to ramble on about pills, and aches and pains, but she kept pursuing, and didn’t seem satisfied with my answers. I was a little surprised as being my roommate in college and friend for years; I thought she already knew the medical definition of Lupus. Then she looked at me with a face every sick person knows well, the face of pure curiosity about something no one healthy can truly understand. She asked what it felt like, not physically, but what it felt like to be me, to be sick. At that moment, the spoon theory was born. I quickly grabbed every spoon on the table; hell I grabbed spoons off of the other tables. I looked at her in the eyes and said “Here you go, you have Lupus”. She looked at me slightly confused, as anyone would when they are being handed a bouquet of spoons. The cold metal spoons clanked in my hands, as I grouped them together and shoved them into her hands. I explained that the difference in being sick and being healthy is having to make choices or to consciously think about things when the rest of the world doesn’t have to. The healthy have the luxury of a life without choices, a gift most people take for granted. Most people start the day with unlimited amount of possibilities, and energy to do whatever they desire, especially young people. For the most part, they do not need to worry about the effects of their actions. So for my explanation, I used spoons to convey this point. I wanted something for her to actually hold, for me to then take away, since most people who get sick feel a “loss” of a life they once knew. If I was in control of taking away the spoons, then she would know what it feels like to have someone or something else, in this case Lupus, being in control. She grabbed the spoons with excitement. She didn’t understand what I was doing, but she is always up for a good time, so I guess she thought I was cracking a joke of some kind like I usually do when talking about touchy topics. Little did she know how serious I would become? I asked her to count her spoons. She asked why, and I explained that when you are healthy you expect to have a never-ending supply of “spoons”. But when you have to now plan your day, you need to know exactly how many “spoons” you are starting with. It doesn’t guarantee that you might not lose some along the way, but at least it helps to know where you are starting. She counted out 12 spoons. She laughed and said she wanted more. I said no, and I knew right away that this little game would work, when she looked disappointed, and we hadn’t even started yet. I’ve wanted more “spoons” for years and haven’t found a way yet to get more, why should she? I also told her to always be conscious of how many she had, and not to drop them because she can never forget she has Lupus. I think she was starting to understand when she theoretically didn’t even get to work, and she was left with 6 spoons. I then explained to her that she needed to choose the rest of her day wisely, since when your “spoons” are gone, they are gone. Sometimes you can borrow against tomorrow’s “spoons”, but just think how hard tomorrow will be with less “spoons”. I also needed to explain that a person who is sick always lives with the looming thought that tomorrow may be the day that a cold comes, or an infection, or any number of things that could be very dangerous. So you do not want to run low on “spoons”, because you never know when you truly will need them. I didn’t want to depress her, but I needed to be realistic, and unfortunately being prepared for the worst is part of a real day for me. We went through the rest of the day, and she slowly learned that skipping lunch would cost her a spoon, as well as standing on a train, or even typing at her computer too long. She was forced to make choices and think about things differently. Hypothetically, she had to choose not to run errands, so that she could eat dinner that night. The most random thing is I have collected beautifully designed spoons for years now…even my friends get them for me…because they remind me of an experience, a moment, an exchange, a place, a cafe in a certain international location, the person I was with, the thoughts I was thinking, the coffee I was stirring or the tea I was stewing. I wish I collected them for my own Spoon Theory collection. They will certainly mean something very different now. One of my favourites…a gift from manaXi…is below. Next time you are out with a friend or familiar always keep ‘The Spoon Theory’ in mind and how many spoons you waste…use each spoon wisely. This concept is something that I’m going to share as much as possible, as I am here. I never know whether writing this honestly about my HHC is a good idea or not…more so on my professionalism and career potential…but it’s never stopped me from working as I love what I do. As my family and friends know by how frustratingly stubborn and driven I am, I never let anything stop me from doing what I love and care about. In fact Amoy tiger tummy makes me work that little bit harder…with a bigger vision and greater hope…so I hope these words work in my favour…as much as they have the potential to help someone else. For the first time in my life, I have a team that will be with me for life…my GP, psychologist, gastroenterologist, surgeon and associated care nurse…whether visited on a regular basis or there at the end of the phone…they are finally a team, accessible, communicative, honest (having to be too honest with me when it all gets overwhelming), and well trying to help me to make sense of well, me! Every day I am grateful for these minds. I am coming to the end of my PhD, completion in February, with job offers from all corners of the globe…so much potential, so many possibilities. 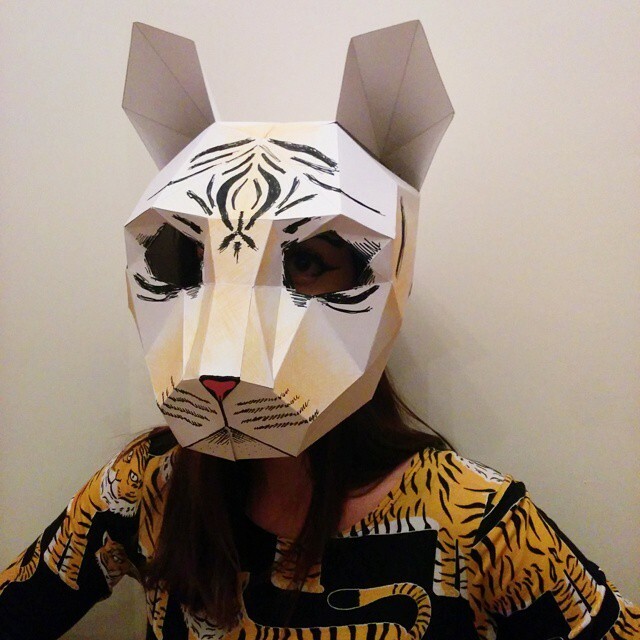 One last thing…a couple of weekends ago for Halloween, I went as the nightmare that is Amoy tiger tummy, with a beautiful graphic designed dress I bought from ebay and a mask (original design by Wintercroft) customised by my wordgirl hands. It made my friends laugh…as only I would go to a party as my own internal horror. That’s wordgirl! 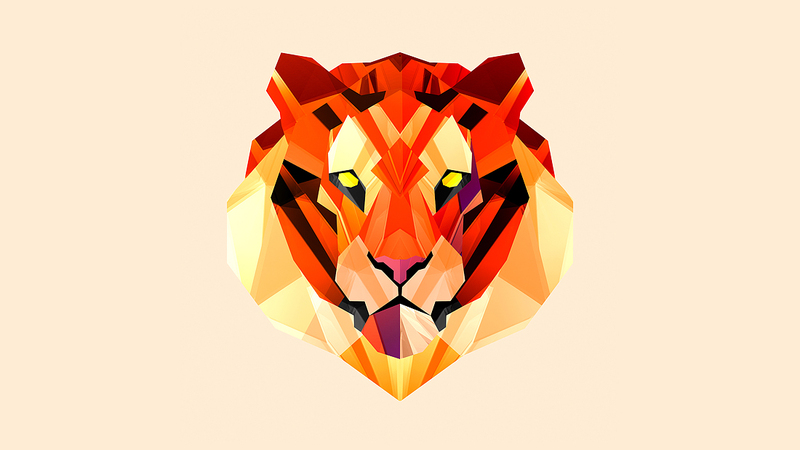 The mask reminds me of the vector-like illustrations of Justin Maller, again another way of how I see Amoy tiger…angular, abstracted, colourful, distinct, with an unpredictable edge…or edges like blades. I dedicate this blog post to a girl called Lois who recently had an operation very similar to mine and is currently in recovery…I dedicate it to manaXi and Momma Sooz…I dedicate it to many, many other people, close friends and family with a HHC, and to those in life that “plod on” (as my brother would say) as their spoons get taken away. I won’t list names but these people know who they are, and know how much I just “get it”. A final phrase is posted underneath all the images…taken from my Instagram account when I took a selfie a year to the day since surgery kingdom. My favourite local coffee-house saw this picture and gave me a free coffee, thanks Bean Encounter! Oh and next time you see me, say hello to me…and Amoy tiger tummy. 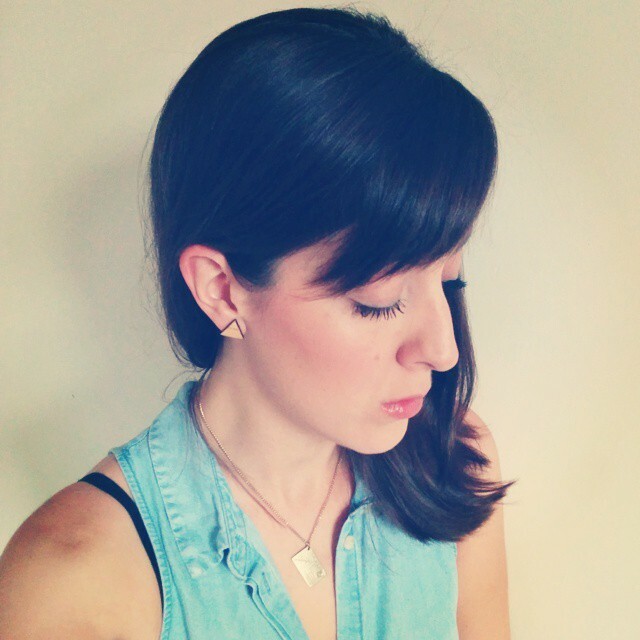 Thank you for sharing….and giving me the tools to make sense of that which I deny myself….